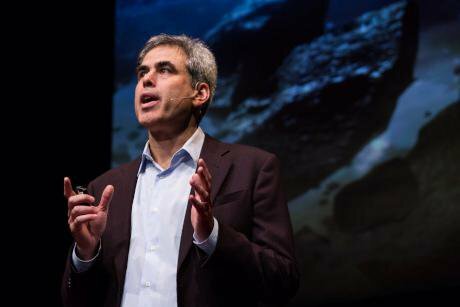 Jonathan Haidt at TEDxMidAtlantic 2012. Image: TEDx MidAtlantic/Flickr, CC BY-NC-ND 2.0Changed My Mind, our new podcast, continues with Jonathan Haidt. In each episode we ask a leader what they have changed their mind on and why. Most people believe we are entrenching our divisions, getting worse not better. So we want to shine a light on what people experience when they do make a fundamental shift in position. Jonathan Haidt is one of the world’s leading moral psychologists. Based at New York University’s Stern School of Business, his book The Coddling of the American Mind is out in the UK now. Hosting are mobilisation expert Ali Goldsworthy, behavioural scientist Alex Chesterfield and corporate affairs adviser Laura Osborne. Between them, they have 40 years’ experience of looking at what motivates people to take a stand, back a cause, become an advocate or change their behaviour.